The contiguous campuses of The Claremont Colleges cover 350 acres. 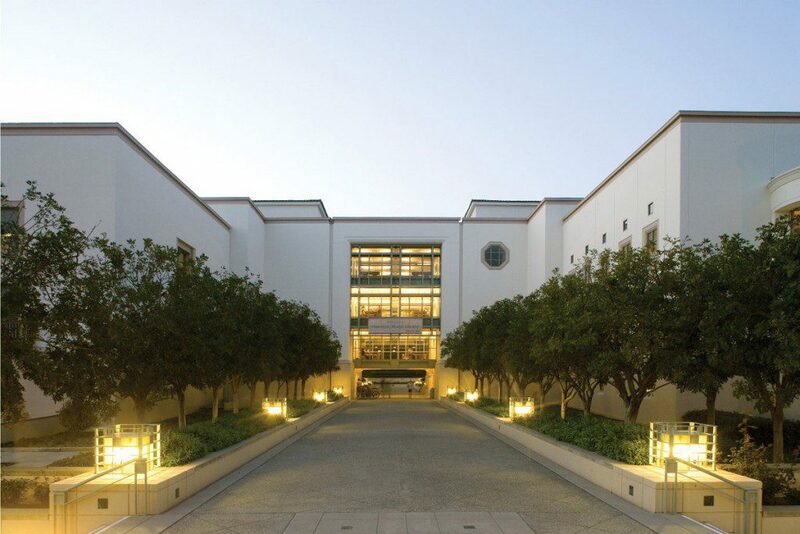 Each campus has its own student body and distinctive personality. The shared resources strengthen the union of the colleges and provide students with the finest educational opportunities available to undergraduate students. All of the facilities are within easy walking distance of each other. 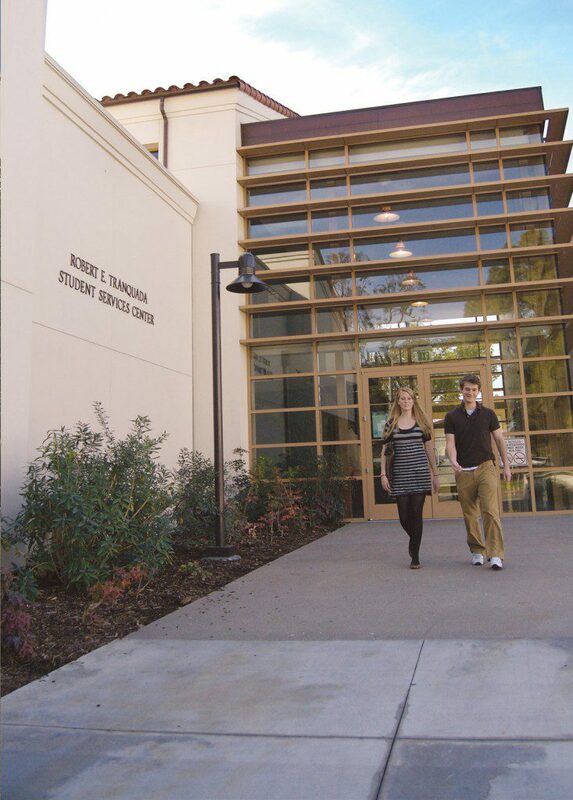 The Tranquada Student Services Center houses Health Education Outreach, Monsour Counseling and Psychological Services, Student Health Services as well as other offices and centers for all of The Claremont Colleges. AARC collaborates with other college offices, academic departments and student organizations to provide a range of educational, cultural, social, personal, career-oriented, and leadership development programs and services to students of Asian heritage. In past years AARC has sponsored an off-campus placement program, professional mentoring program, Asian Pacific American Heritage Week and Asian American studies faculty lecture services. Through its library, programs, and various forums, AARC serves as a resource for all members of the community who want to learn more about Asian Americans and Asian American studies. Pitzer joins with Pomona College in the Southern California Intercollegiate Athletic Conference (SCIAC). Athletic teams include soccer, basketball, football, baseball, track & field, golf, tennis, water polo and swimming & diving. Pomona-Pitzer women’s intercollegiate athletic teams include soccer, cross-country, volleyball, swimming and diving, basketball, track & field, softball, tennis and water polo. Pitzer students participate in the Claremont Colleges club sports programs that compete nationally. A wide variety of intramural sports are available to all students. Pomona-Pitzer athletic website. 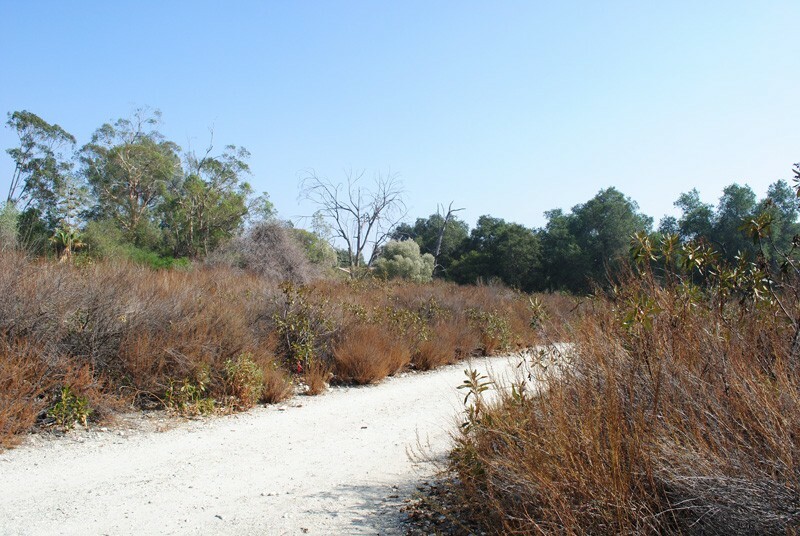 The 85-acre Robert J. Bernard Biological Field Station serves as a natural outdoor laboratory for many disciplines at Pitzer and the other Claremont Colleges. Unique for its urban surroundings, the station is a short walk from the campuses. Station land supports coastal-sage-scrub, chaparral, oak-sycamore and grassland vegetation types, as well as parcels in various stages of ecological succession. Aquatic studies can be made on a lake-marsh ecosystem and several seasonal ponds. As a real-world laboratory, the station meets many ecological, environmental and experimental classroom and research needs of students, faculty and the larger community. For more than 60 years, Mabel Shaw Bridges Auditorium (known around Claremont as “Big Bridges”–“Little Bridges” refers to Pomona’s Bridges Hall of Music) has provided programs of major cultural significance for the colleges and the larger geographic area. The Claremont Colleges Department of Department Safety (150 East Eighth Street, 621-8170) is the first responding agency on campus. Parking at the Claremont Colleges is regulated and a valid parking permit issued by Campus Safety is required to park on campus property. The mission of the Chicano/Latino Student Affairs Center (757 College Way, second floor of the Robert E. Tranquada Student Services Center; 621-8044) is to assist students in achieving a positive and rewarding academic experience. This is accomplished by offering support services which complement existing resources at each of the colleges. Academic, social and cultural events which foster personal growth and multicultural awareness are also provided throughout the academic year. Honnold-Mudd Library, located at 800 Dartmouth Avenue, holds collections in the arts, humanities, sciences, and social sciences. Denison Library, located on the Scripps College campus, specializes in the humanities and fine arts. The CUC Records Center, located at 2038 W. 11th Street in Upland, houses most of the paper journals and a small percentage of books from the library collections. Materials at the Records Center may be requested for delivery or may be browsed on site. Affiliated libraries are The Claremont School of Theology Library and the Rancho Santa Ana Botanic Garden Library. The Collage (at Huntley Bookstore, 175 East Eighth St.) is a weekly student newspaper of The Claremont Colleges. Student staff is responsible for all aspects of publication, including story writing, editing, business management, and production. Club Sports (919 E. Columbia Ave.; 706-1147) provides an opportunity for competition in sports that are not currently intercollegiate varsity athletics. The mission of the European Union Center of California is to advance public understanding of European integration and transatlantic relations through education, research, and outreach. The Center is located on the Scripps College campus. Hillel (McAlister Center, 919 N. Columbia Ave., 607-2096) is the Jewish students’ organization and provides students, faculty, and staff of The Claremont Colleges with social, cultural, educational, community service, and religious programming. Huntley Bookstore (175 E. 8th Street; 621-8168) provides a variety of essential services to the Claremont Colleges. Buy new and used required textbooks through the website, and have them shipped to your door or pick them up in the store. Log on to buy books early and get the best used prices.The computer department at Huntley Bookstore offers academic pricing on Apple and PC hardware and software; once you have been accepted you are eligible for academic discounts. The bookstore also carry dorm supplies, office and computer supplies, clothing and gifts. International Place (390 East Ninth Street; 621-8344) is an active international, multicultural center for The Claremont Colleges. Located on the Claremont McKenna College campus, I-Place is dedicated to increasing understanding and friendship across cultures. McAlister Center for Religious Activities and the Office of the Chaplains (919 N. Columbia Avenue; 621-8685) serves The Claremont Colleges and represents, coordinates, and directs the programs of McAlister Center for Religious Activities. Office of Black Student Affairs (139 E. 7th Street; 607-3699) addresses the educational needs of students of African descent. The Office of Black Student Affairs is committed to diversity and all of its programs and services are open to all students of The Claremont Colleges. It sponsors numerous activities, which include the New Students’ Retreat, Black History Month programs, leadership training, cross-cultural programs, speaker series, poetry readings, and other programs to enhance students’ interpersonal skills. Located in Walker Hall on the Pomona College campus, the Queer Resource Center (QRC) supports outreach to the student community to raise awareness of gay, lesbian, and bisexual issues. The center sponsors an annual B-GLAD Week (Bisexual, Gay and Lesbian Awareness Days) and a speaker’s bureau, which provides panels for classes. The Lesbian, Gay, and Bisexual Students’ Union sponsors gay-friendly social events such as weekly support-group meetings. There are three departments that provide health and counseling services to students at The Claremont Colleges. Health Education Outreach (607-3602) is dedicated to helping students find the most appropriate health and wellness information and support available. Monsour Counseling & Psychological Services (MCAPS) (621.8202) is available for those in need of counseling. All sessions and discussions with a therapist are confidential. Consultation services are also available to help students who are concerned about the emotional well-being of any friend, relative, or acquaintance. Student Health Services (621.8222) provides a wide range of medical services and testing. Call for an appointment or walk in.